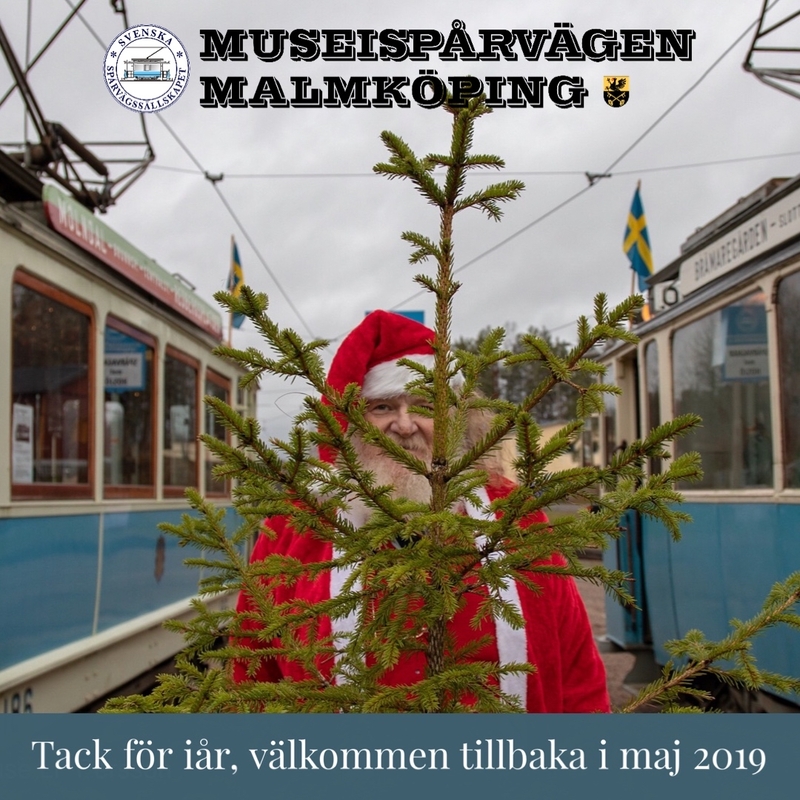 The museum has more than 40 cars from the 12 Swedish cities that have had tramways. 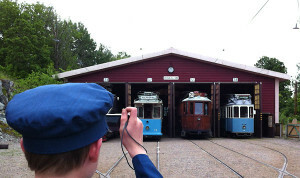 A third of the cars have so far been renovated for use in the museum tramway service in Malmköping. The oldest is from 1903; the newest is from the 1950s. About 25 buses are also part of the collection. See a selection of our cars used in service in Malmköping. In the old station building you will find our café, which has the same hours of operation as the entire facility. Here you can buy a gift in the Tramway Shop or have a cup of coffee with a pastry. 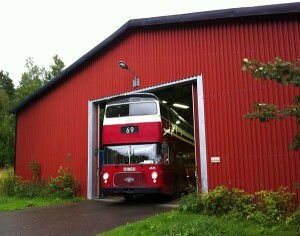 At our facility in Malmköping, you will find the Swedish Bus Museum, which is also part of the urban transport museum. Here we portray the development of bus service in Sweden with vehicles, models, text and photos, and much more. The museum was opened in the summer of 1999, during the celebration of 100 years of bus service in Sweden. See a selection of our buses in Malmköping. Using text and photos, we portray the development of bus service in Sweden decade by decade: changes in vehicles, the World War II service using producer gas, the trolleybus era, and much more. We also show how we believe the vehicles and service will look in the future. In addition, you can view related items such as bus stops, communications radio, motors, transmissions, etc. The museum is continually being developed and improved; this winter, among other projects, we are working to significantly improve the text and photo displays. Each year, we also have a small special exhibition with a particular bus-related theme. Some days, we also operate one of the vintage buses in service on Ringlinjen (the Ring Line) in the town of Malmköping. We would love to have you visit us and see the development of one of our most common everyday means of transport!